While best known for their popular discography medleys–which include GREEN DAY, ALL TIME LOW, and BLINK 182–the foursome has also released their video for the single “Dangerous Ambitions,” the title track off of their upcoming, August 24th scheduled album. 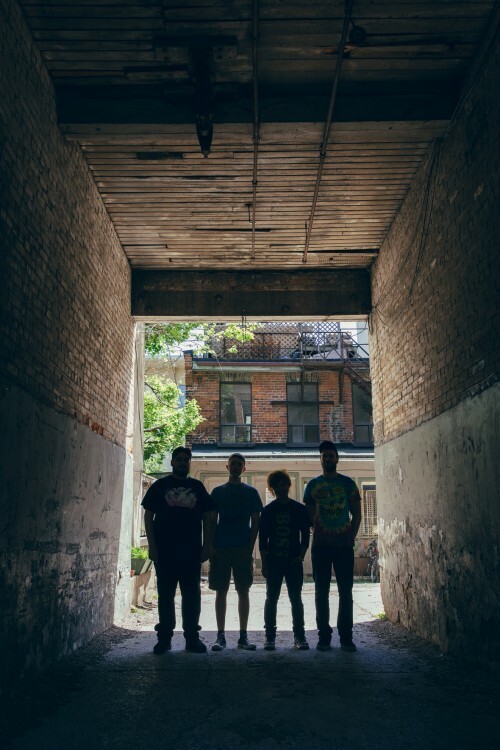 Minority 905 is a pop-punk band founded by then-17-year-old John Aquinoand former members of the band in August 2013. The name was inspired by Green Day’s song “Minority” and Aquino’s hometown of Mississauga, ON, Canada (its area code is 905). Aquino identified with the word “Minority” since he believed that the combination of his ethnicity, personality, and interests were rare in the punk rock scene. Aquino met former member Aidan Collins on YouTube, after Collins saw a few of Aquino’s covers and contacted him. However, he did not join the band until early 2014 when the band needed a bassist. Collins joined and became the new bassist. Throughout the next few months, Minority 905 played as much as they could, wherever possible–birthday parties, house parties, local bars, and local venues. 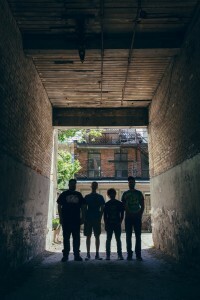 Eventually, they were noticed by local producer, Mason Dayot at a show they played in Brampton–which was also the last show the former drummer played. Without an official drummer, Minority 905 went on to record their debut EP titled Luck Is For Losers with Dayot, who played the drums for the record. Soon after the record released, current drummer Spasimir Vasilev joined Minority 905. Vasilev met the members at a previous show where he volunteered to sing “Blitzkrieg Bop” (The Ramones) with Minority 905. Once again, the band played many local shows and even opened for the bands Such Gold and Transit. In December 2014, they went on a weekend mini-tour with local bands Setback and Triumph Over Adversity. In 2015, the lead guitarist left the band and Collins opted to start playing lead guitar instead of the bass. Current bassist Steven Wolwyn joined soon afterwards. The band closely worked with Dayot throughout the songwriting process during the early months of 2015 in preparation for the next record, which would be their first full-length album. In March 2016, Mason left the band to pursue teaching English in Japan, and current guitarist, Chris Goodfellow joined the band in July 2016.